Providing professional personalized Guiding services combining Leisure, Environmental and Social Awareness; Encouraging Responsibility. We are very happy to introduce our Team to you. Savannah Southern Safaris is a family owned business, founded by Chiinga Siavwapa who has been a professional nature guide since the year 2004. Since his early childhood he explored the bush and the Falls on his own and to him ,that was the genesis of his relationship with the wild. Anyone who meets Chiinga will immediately feel his passion for the nature around and all other matters concerning our environment and society. Currently he has a special focus on birding and also trains our other guides in the same area. If he guides you, be sure it will be a personal experience as much tailored to your expectations as possible. Chiinga believes, we all have a strong responsibility to ensure the youth in this country get a fair chance to participate in development. In the past years he has trained more than twenty youth in guiding, activity booking and general knowledge in the hospitality industry. 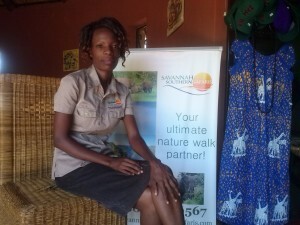 Some have stayed with Savannah Southern Safaris and become part of the ‘Savannah family’ others found job opportunities elsewhere in the industry. Chiinga is still continuously spending a lot of his time to train the Savannah guides and other interested youths. When he met his spouse Nina, they decided to run the business together and in order to give him more space for the training and guiding she is running most of the administration and marketing. Nina is originally from Germany and brings her international work experience in the team. 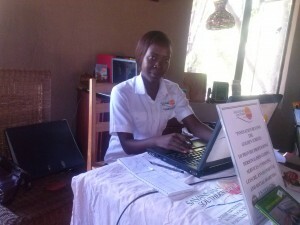 The Savannah Team runs as a family, so everybody helps, where he or she is needed. 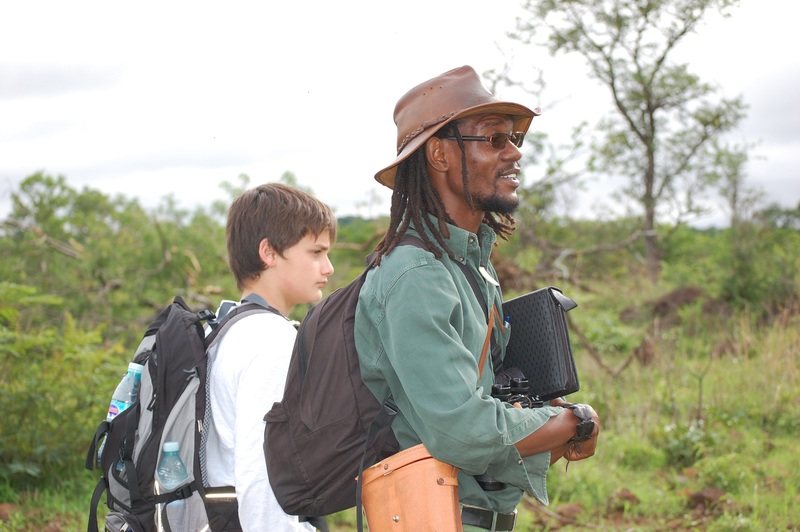 Chiwele, a very skilled and passionate nature guide who will help you to get a deeper insight in the bush, from the small flower to the big rhino. He is also training in the area of birding and he is getting deeper and deeper into this area. He is also supporting the areas of office and guiding management .Lately training of new guides has been added to his responsibilities. 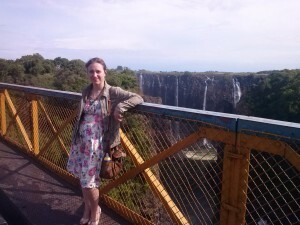 Charity who is probably Livingstone’s best Victoria Falls Guide. She currently develops new cultural products like Cook like a Zambian, Cultural Dance and Ceremony tours and many more to come. She will be on everybody’s side if you want her to be. ou shopping on the markets. Further she is helping with administration, especially the area of Accounts and Reservations. Njekwa is the left and right hand in accounts, IT related tasks, online marketing and other administrative issues. The whole team will always be happy to make your experience here in Southern Zambia something very special. Just ask and we will be happy to tailor or products and packages to what you need here and also in other regions of Zambia and Southern Africa! All guides can also be hired for personal guiding tours. You have enjoyed your tour with our team? Share your experience and review us on Facebook or Tripadvisor!